I am going to tell you about Ads, Advertisements and about some basic and special things regarding Advertisements that will help you in understanding online advertising in this post. Since the past 10 years or so internet advertising has sky rocketed and it has become a source of income for so many people. For both publishers and advertisers it has been a good time to earn through online advertising. Ad actually stands for "Advertisement", which are usually used to persuade audiences to purchase stuff, like sports goods, etc., which are not very popular among people. An ad can make a real boring product famous quite easily. We see some major examples of advertisements in our daily life like banners on different buildings and boards of different sizes placed on different buildings, buses, ships, planes and many other places. In this process of advertising there are two major types of people involved, the Publishers and the Advertisers. Advertisers are the people who pay money to make their brand popular. They make banners of their products and place them on different places, through publishers, like on top of buildings and/or on buses and other places that they think will make their product viewable to the people and also make it popular. In the World Wide Web, Advertisers are the people that pay money to make their websites, products and blogs popular and even make their products sell by publishers and different affiliates. They have different terms through which they make their products sell by selected affiliates. Some provide different tools to their affiliates and publishers to make their products sell easily. "Google Adwords" is an example of an Internet advertising network to which we pay money to make our blog/website or our products popular by viewing our products at a google search result and directing targeted traffic to the product which may be a website or blog. This is also called "Search Engine Marketing". Now, the advertisers in the World Wide Web don't only pay to make their ads viewable by people, they actually pay more money to the publisher for someone clicking their ads. If you use Google Adsense you would rather know about all this. They pay the publisher a rather low or sometimes high amount of money per a single click because this continuously changes according to the ads supplied by the advertiser, it generates a huge revenue to the people publishing ads on their websites and blogs. 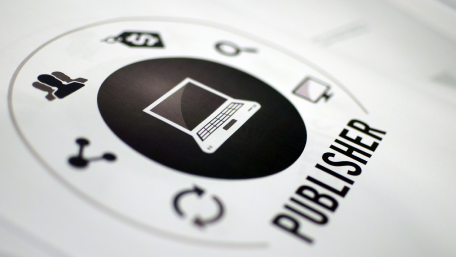 Publishers are the people that are paid to put ads on their products or property like websites, blog, feeds, etc. In the real world the publisher may be a house resident paid to put a leader board on his roof top or the owner of a five star building paid to put ads on his building. In the World Wide Web publisher are of two types generally, affiliates, who sell products through advertisements, and the simple publishers who get paid for every single click made to their advertisements. Publishers earn a huge deal of money from their websites regularly because there are a huge number of advertisers that are ready to pay publisher for putting their ads on their websites. "Google Adsense" is one of the most popular publisher network now-a-days that has a huge number of advertisers and also some top quality ads and the best thing about Google Adsense is that they always put ads on your site that are relevant to the topic or content of your site, i.e. contextual ads. Suppose if you have a site or blog about "football" and you place Google Adsense ads on your site than generally Google Adsense would put ads related to football on your site. Suppose an advertiser pays you 0.03$ or 3 cents for a single click made through your website, after 2 to 3 months you could be making 30 dollars a month through that single advertiser and that advertiser also gets targeted traffic to their sites from your website or blog. CPC (Cost Per Click) ads are the Ads in which a publisher is paid when a visitor clicks on the ads placed on his website. 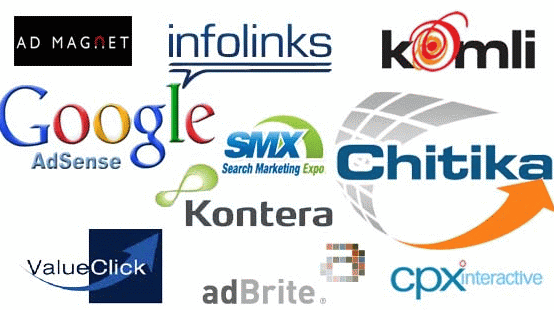 A publisher can get from a cent to 15 Dollars per click. 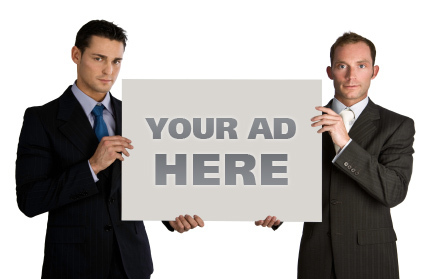 This depends on the ads you are displaying and to the audience you are displaying ads. According to some stats, keywords like "web hosting", "mortgage", "Business", "buying and selling" are the most popular keywords searched for so if you make a website or blog regarding any of these topics and place relevant ads, then you can have a lot of valid clicks on your ads and each valid click would generate about 1$ to 3$ or even more, but remember that the more a keyword gets popular the lesser you earn for that ad when it is clicked. So even if you have a few people coming to your website or blog even then you can earn about 5-10$ a month and even more or less because this cannot be guaranteed that you earn lots of money with low traffic. It merely depends upon the visitors that they want to click on ads or not and also the geographical location of the user. CPM (Cost Per Mille) ads are the ads in which a publisher is paid when he gets 1000 impressions of a specific ad. CPM actually stands for "Cost per 1000 Impressions". CPM ads are very useful when you have people coming to your site and they are not clicking on the ads. Even though you get paid when people click on ads. Each Person coming to your site would generate 1 impression per ad in one page. I would suggest to place CPM ads on the top of your website so that you get maximum amount of impressions through these ads. Hope you liked the article. I hope this article helps you in understanding online advertising, I will be writing more on these sorts of Articles. I have started a Beginner's Guide tag so as to help new Bloggers and Youtubers. Don't forget to follow my blog Ali Khan Blogs on facebook at Akblogspk.